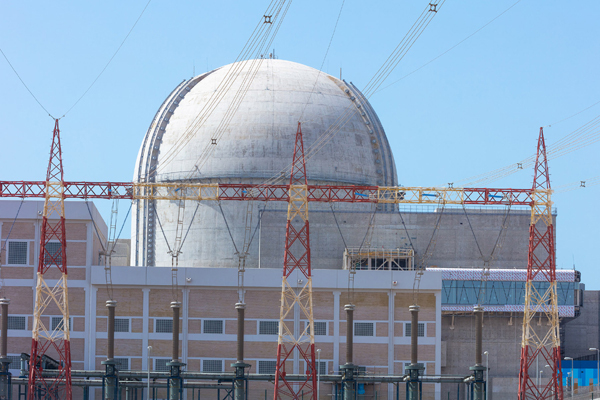 The Emirates Nuclear Energy Corporation (Enec) has achieved a series of significant milestones in the construction of Unit 3 of the Barakah Nuclear Energy Plant in the Al Dhafra Region of Abu Dhabi. Enec has successfully completed the major construction work including major concrete pouring, installation of the Turbine Generator, and the internal components of the Reactor Vessel (RV) of Unit 3, paving the way for the commencement of testing and commissioning. With the accomplishment of these milestones, construction crews will begin transitioning from Unit 3 to Unit 4, taking with them the lessons learned during their construction of Units 1, 2 and 3. The completion of major construction work on Unit 3 comes approximately one year after the completion of the similar work on Unit 2, and two years after the completion of the same work on Unit 1 and demonstrates the benefits of building four identical Units at the same time. In addition to completing major construction and concrete work, Unit 3 is now fully connected to the Abu Dhabi Transmission & Despatch Company’s (Transco’s) transmission grid, following the safe and successful energisation of the Unit’s Standby Auxiliary Transformers and Auxiliary Power Systems. During the year 2017, Enec and Kepco have achieved a series of other construction milestones on the units of the Barakah Plant. The Main Power Transformer (MTR), Excitation Transformer and Unit Auxiliary Power Transformers (UAT) at Unit 2 were energised, and the Reactor Containment Liner Plate Rings, Reactor Vessel, Steam Generators and Condenser were installed on Unit 4. Meanwhile, testing and commissioning activities are progressing on Units 1 and 2. The project at Barakah is progressing steadily; as of the end of May 2018, the construction completion of Unit 2 is more than 93 per cent, Unit 3 is more than 83 per cent, and Unit 4 is more than 72 per cent, while the overall construction completion is more than 89 per cent.